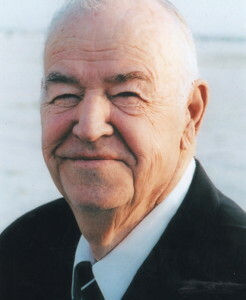 James Euel Meador, age 82 of Frisco, Texas passed away on February 16, 2011 in Frisco. He was born on January 28, 1929 in Ovalo, Texas to Euel Edgar and Easter Mae (Cranford) Meador. James was an educator having attained his Masters of Education Degree from Southwest Texas State University. He taught at Richardson High School and retired from Richland College. James is survived by his wife, Shirley Meador of Frisco, Texas; daughter, Cordelia Everman and her husband, Ron of Springhill, Tennessee; son, James E. Meador, Jr. and his wife, Janet of Casper, Wyoming; daughter, Sarah Claunch of Frisco, Texas; grandchildren, Bobby Teddlie and his fiancée, April Curtis, Christi Crowell and her husband, Shaun, Jami Beach and her husband, Jason, Robin Pflugh and her husband, Derek, Aaron Meador and his wife, Annelie, Ryan Meador and his wife, Jennifer, Allison Furnas and her husband, John, Philip Claunch, Jr. and his wife, Sarah; eleven great-grandchildren; brother, Eddie D. Meador and his wife, Annette of Natural Bridge, Virginia and a host of friends. He is preceded in death by his parents; his first wife, Marianne Meador and his son-in-law, Philip Claunch, Sr. The family will receive friends at a Visitation to be held at Turrentine-Jackson-Morrow Funeral Home in Frisco on Friday, February 18, 2011 beginning at 6:00 PM. Funeral Services will be held at 2:00 PM the Funeral Home on Saturday, February 19, 2011 with Dr. Boyd M. Sawyer officiating. Interment will follow at Restland Memorial Park in Dallas.